Australia has been going through a wave of change ever since Prime Minister Malcolm Turnbull has assumed his current position. The nation is readily embracing digital transformation and investing a lot into research that will drive innovative technology solutions. We recently reported that Prime Minister Turnbull restored funding to tech research group, Data 61. Data61 is the largest data innovation group in Australia, working to deliver science and technology innovation for the country’s digital development. Data61 has the ability to transform capabilities of small start-up companies through the use of data science and insights. Data61 works to support the work of start-ups and other small businesses which support its mission, as NICTA did from the years 2002 through 2015. Through NICTA’s former efforts, they were able to develop over 15 companies. OpenGov talked to Dr. Stephen Hardy, Technology Director – Computational Analytics, DATA61, while he was in Singapore attending Strata + Hadoop World. Dr. Stephen Hardy has extensive experience in applying data analytics to problems in industry and government. He was previously head of Canon’s Image and Video Research and Development Centre in Sydney, Australia. He holds a PhD in Astrophysics from the University of Sydney. Formally the Technology Director at National ICT Australia, Dr. Stephen Hardy is now working in the newly established Data61. In this day and age, there is a lot of data being generated- it is estimated that 2.5 quintillion bytes of data is generated daily. Organisations have the power to utilize the knowledge from this data, to better society as a whole. But they must consider the privacy of individuals at all times, making it seem much more difficult for them to exploit data and draw insights. We asked what drives Dr. Stephen Hardy to do work in the field of computational analytics, to which he answered without hesitation. Dr. Stephen Hardy feels that this will change that game as it allow organisations to use people’s data in a productive manner, without compromising the personal data security of individuals. In the event of joint data warehouses, Dr. Stephen Hardy believes that people’s data should be used for certain productive purposes with their approval, of course. This takes a lot of computing power and extra software, and with this technique being fairly new, it is not expected to take off quite yet. This model works to keep data from two separate organisations or bodies, undisclosed to one another. They can produce this model by running several computations with each of the data sets. This generates an answer to a question or it tells something related to an individual. Privacy in the world of big data is often considered as a legal or regulatory function. However, there are technology solutions for analytics that can be used today to protect users&apos; privacy and to enable applications over data that is too sensitive to share. For example, revolutionary biomedical insights could be derived from health care data which is, more often than not, sensitive data. These discoveries would not be found without using this data. Yet, this data cannot be fully disclosed because it would compromise the individual(s) right to privacy. The work at Data61 aims to help create solutions for when the concern for data privacy and ethics is great. Many projects at Data 61 deal with sensitive data, due to the nature of their computational analysis model. 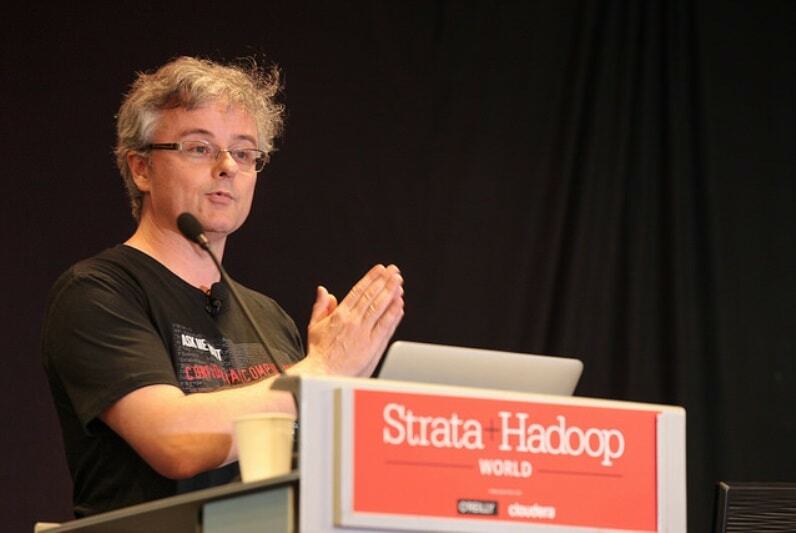 Examples of projects coming out of Data 61, shown at Strata + Hadoop, dealt with the insights derived from the merging of data sets. For instance, one of the Data61 researchers demonstrated a genetic dosing model which generates a prescription dosage based on patient’s private data. Using the solution they created, they came up with a personalised prescription, while keeping the patient data and vendor data undisclosed to one another. Data61 is dealing in industries, such as healthcare, where digital privacy legislation did not always exist. This has required the organisation to work directly with legislators to make sure they are privy to these circumstances. As this Data61 Computational Analytics team works on computing data -without revealing the data- they are creating solutions for the new digital age. More and more organisations are starting to see the benefit of the insights derived from joint data sets, requiring a heightened level of data protection. As for now, the team will continue developing these models and working with data in ethical and secure manners. “For us, it is about demonstrating the value and proving it works and working with government to look at some of these high value use cases where there are huge social benefits to be gained but privacy prevents doing data analytics at the moment,” stated Dr. Stephen Hardy.